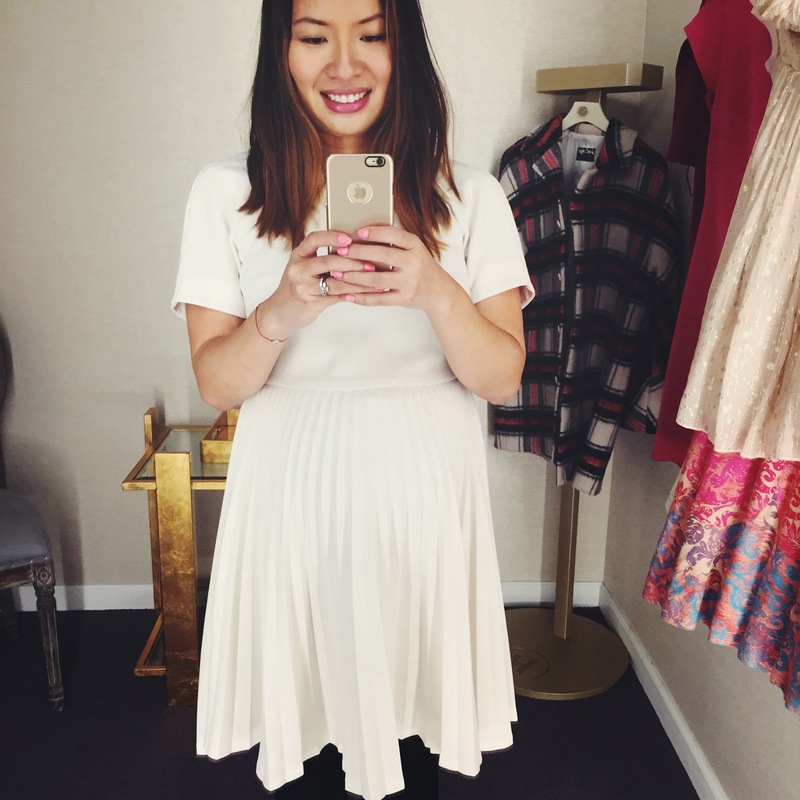 To find a dress for my baby shower, I scheduled an appointment at the new Rent the Runway showroom in Georgetown. This was my first time using this service. 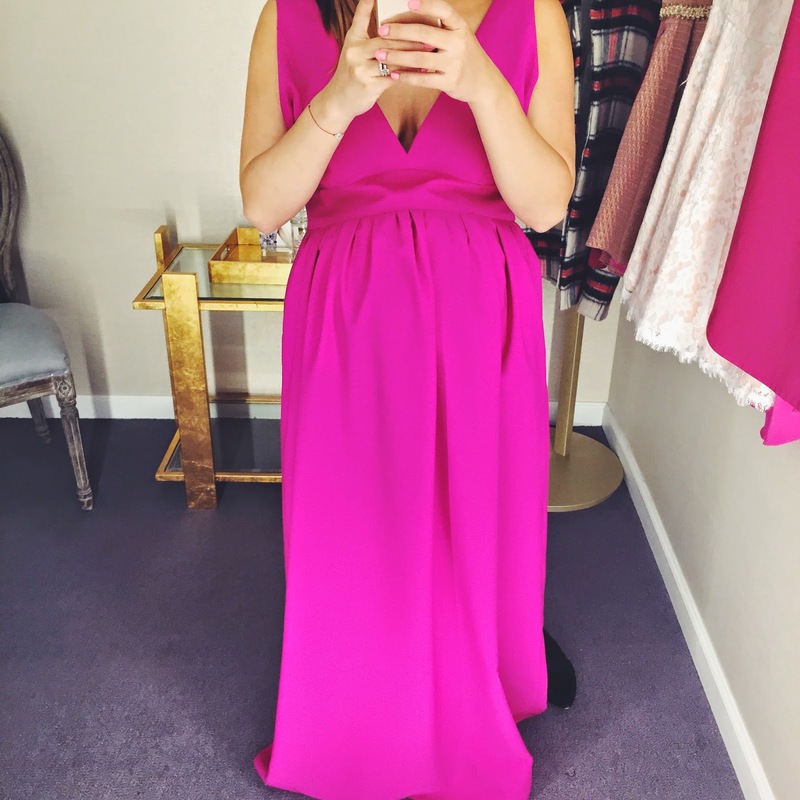 I normally rent my dresses online and use the customer reviews to help me pick out the right size. 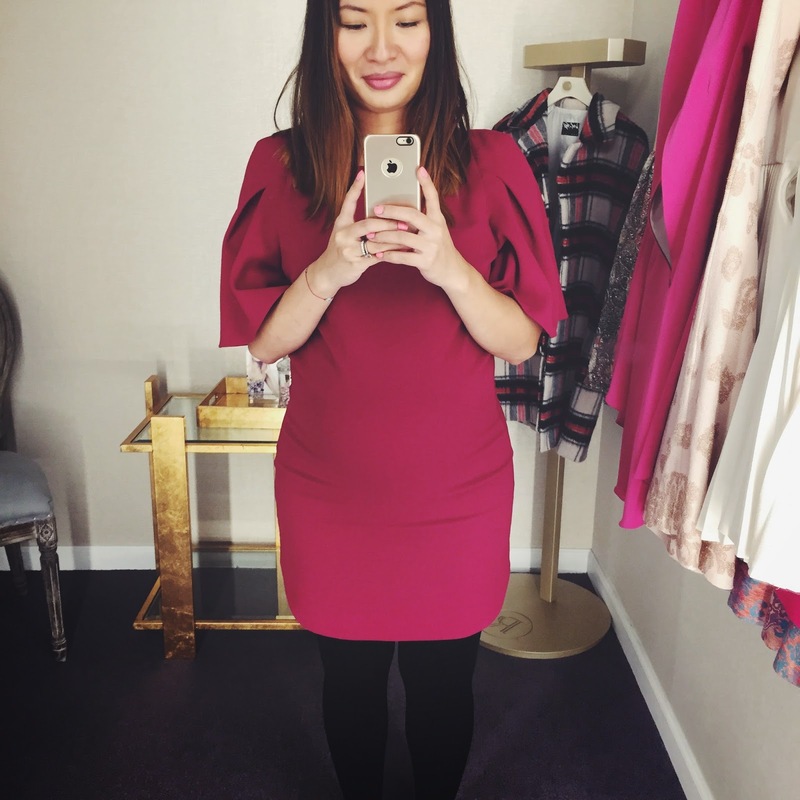 With the free back up size that Rent The Runway offers, I've never had a problem and have always loved each dress rental. Though, now that I'm pregnant and it seems growing by the second, I had no idea what size would be right for me. Making an appointment at the showroom was necessary. Appointments are $25, but they are not mandatory. You can definitely just pop in to try on some clothes. However, the appointment guarantees you your own fitting room and personalized attention from one of their stylist to help pre-select dresses, discuss more options, and get more sizes. Scheduling an appointment saves you time. A few days before your appointment, you'll be emailed a confirmation and link to a "Style Assessment" where you will tell your stylist about your personal style, your size, and if you’re looking for a specific length, color, or designer. They can’t guarantee that specific styles will be available to try on for your appointment but will use the information you provide to pick out dresses for you. Here are some dresses my Rent The Runway stylist, Ridasian, picked out for me based on my Style Assessment. Ridasian was very friendly and helpful and is also pregnant which made the whole experience even more fun and comfortable. Want to know which dress we picked out together? Check back next week! I'll be sharing more pictures from my shower and what I wore. Click here schedule your appointment at Rent The Runway in Georgetown.